Wonderful group nice golden colour are these sented Andrew. Thank you Andrew I have noticed with scented plants they smell at certain times of day more or if I have brushed past them then I can smell them. If they are no good for the cold I shall leave them as it can get very cold here even more than in the North so I have read. 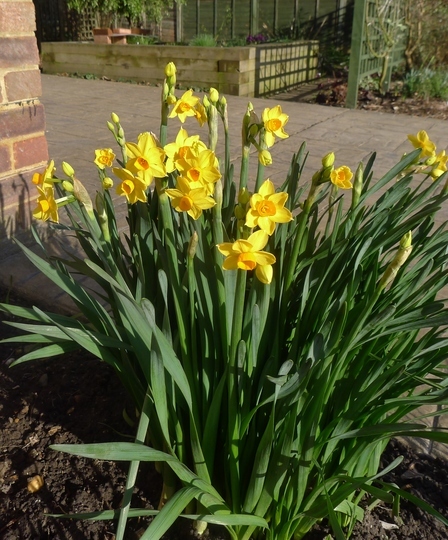 This photo is of species Narcissus 'Grand Soleil d'Or'. See who else has plants in genus Narcissus.